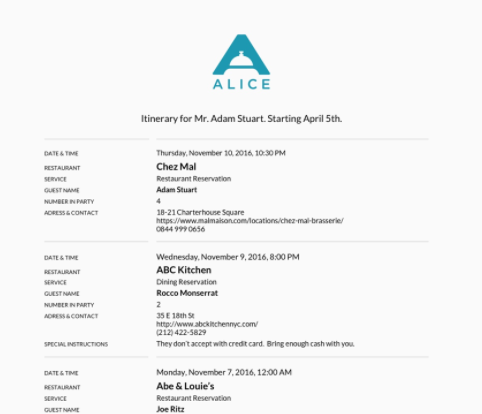 ALICE Concierge is software purpose-built for concierges. 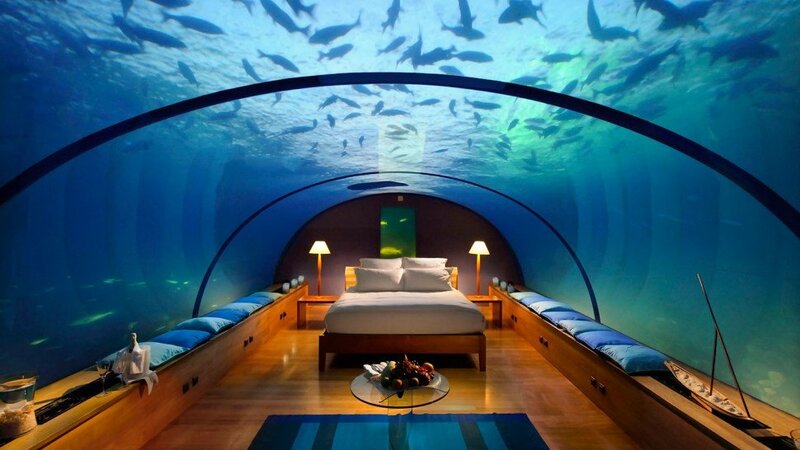 It acknowledges the demands of today’s guests, as well as concierges’ own expectations from technology. Why does your concierge need a modern-day concierge toolset? Few roles in the hotel have been as affected by technology as that of the concierge. Mobile internet and apps have decreased the reliance of most guests on the concierge, while at the same time changing the relationship concierges have with their own workplace tools. ALICE Concierge is a modern-day toolset for concierges that acknowledges the demands of today’s guests, as well as concierges’ own expectations of technology. It’s a product attuned to the challenges and opportunities of the modern concierge role, and the importance of the concierge role to the hotel when it comes to guest engagement and service differentiation. What about the concierge role has changed? Mobile devices and the mobile internet have changed the way in which travelers are dependent on the concierge. Before Google Maps, guests almost always stopped by the concierge for directions on their way out. Today’s guests, by contrast, are more informed about their options, and how to get there. However, there’s still a big need for discovery and local insight. 77% of guests’ trip planning still happens on property. Guests continue to seek the expertise of the concierge, particularly when it comes to distilling this abundance of easily-accessed information. Guests also continue to need help planning and scheduling their stay. Today’s concierges need tools to leverage, organize and share their local knowledge. On-demand and consumer-friendly technologies have changed expectations of guests and concierges’ expectations of their own technology. Today’s technology facilitates instantaneous delivery of services and experiences, and guests come to your hotel expecting the same on-demand services and instant access to information they enjoy in their everyday lives. Today’s concierges need a toolset that includes real-time guest communication and intuitive, usable technology to quickly facilitate guest requests. Consumers today gravitate toward messaging, even when communicating with businesses. And messaging has clear advantages for hotels looking to engage with their guests (it’s sticky, conversational, and tied to an identity). 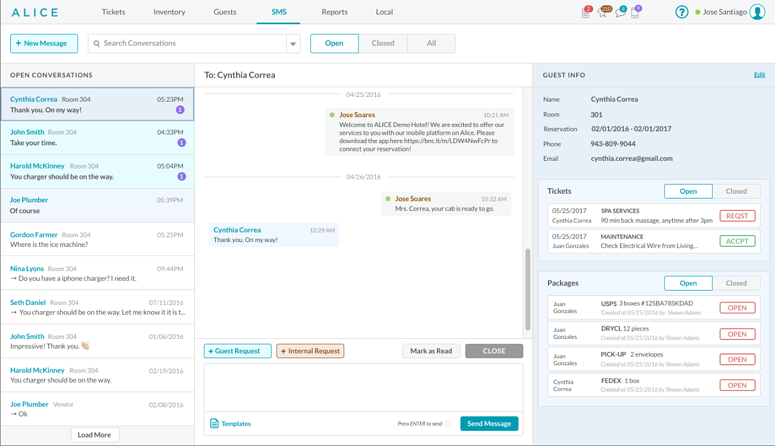 Today’s concierges need a guest communications toolset that includes real-time messaging. In many hotels the concierge is the conduit for the guest experience, and guests will therefore ask concierges for services and amenities outside the purview of the concierge role. Today’s concierges need technology that is integrated with the systems of other departments. This allows them to dispatch guest requests to other staff members and then have full visibility to the status of those requests as they are being filled (information which they can then, in turn, relay to guests). Industry forces are giving the concierge role new meaning. The sharing economy, the growing import of reviews and social media to bookings, and the decline of traditional loyalty programs are all converging to make service the big differentiator for hotels. Today’s concierges need tools that enable them to provide exceptional service and be that differentiating factor. The growing boutique segment doesn’t always employ a dedicated concierge, yet guests still expect concierge-type services from their hotels. This means front desk staff and bellmen often have to perform parts of the concierge role, in addition to their own responsibilities. Concierge technology that integrates with other front and back of house technology can empower these staff to provide concierge services, as well as perform their other tasks. Online retail continues to challenge package or inventory management at hotels. Often this task falls on the concierge. Every year more packages get sent, and every year, more packages make their way to hotels. Many hotels currently process guest packages manually, or use systems configured for inventory specifically (not hotel-type inventory), which are not integrated with other hotel technology. 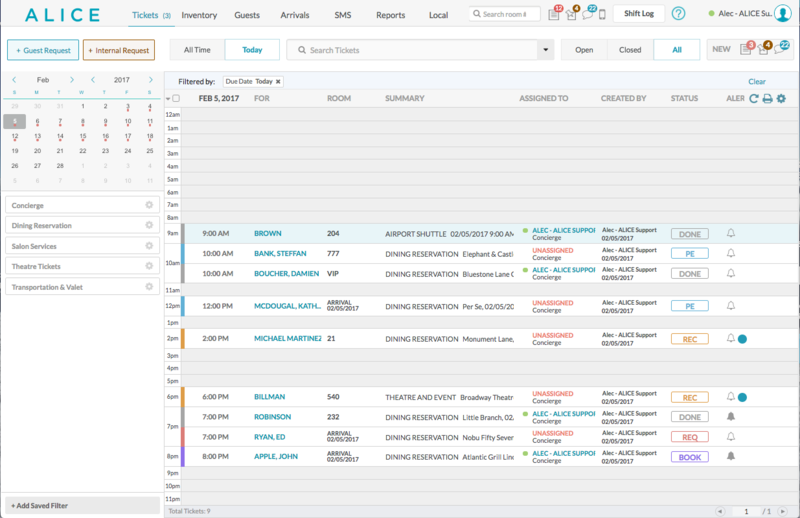 Today’s concierges need a tool that includes a robust inventory management component. What does a modern day concierge tool look like? 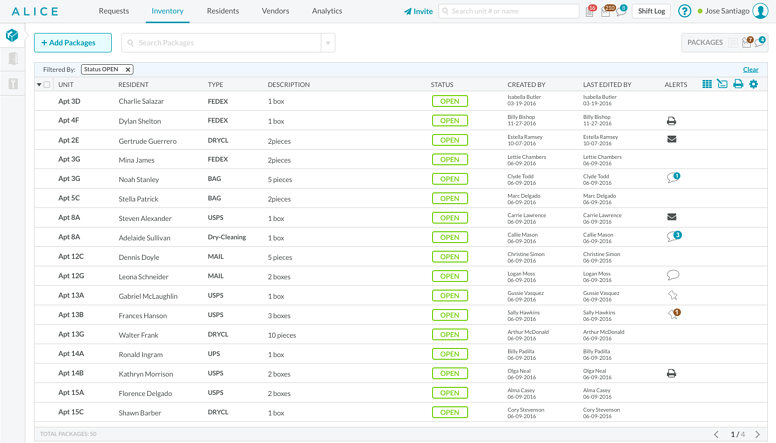 What it is: Request Tracking helps your concierge to manage, assign and track all guest requests and internal incidents, all within ALICE. Why it’s important: Your concierges are being asked to book all sorts of activities by guests, even before those guests arrive on property. From dinner reservations that need to be made months in advance, to car services that need to be booked the day of, a concierge team has to work together over the course of a guest’s journey to book and track all the services being requested. No one wants to disappoint a valued guest and a request tracking tool ensures nothing slips through the cracks. 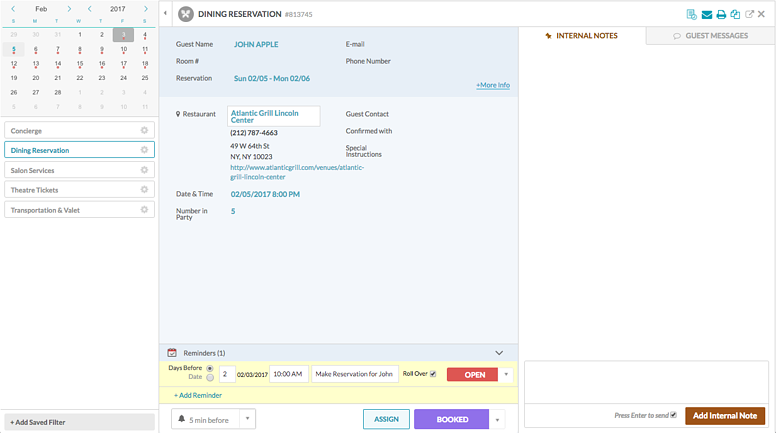 With all requests logged and worked on in ALICE, every team member in your hotel can answer whatever questions guests might have about the status of their requests. Even other departments, such as the night shift when the concierge team goes home. What it is: Reminders lets your concierges set when and how often they want to be reminded about a task that needs to be taken care of. This is to ensure all important steps are taken and completed ahead of time for a given request. Reminders also add context to requests, by including relevant info like guest information, phone numbers, internal notes and social links. Why it’s important: Basic reminders - the kind that pop-up one time in advance of an appointment - aren’t useful to a concierge. Most guest requests require multiple steps to fulfill them, and hence, multiple reminders attached to one request. ALICE’s customizable reminders lets concierges link multiple reminders together, in a way that makes the most sense for the particular task at hand. Say, for example, a guest requests a dinner reservation for a few months out. Most restaurants will not accept a reservation for more than a month in advance. Concierges may want to set a reminder for their team to book the restaurant one month prior to the requested date, another to confirm with the restaurant a day before and a third to print the confirmation in advance of the guest’s arrival. What it is: Local is your digital black book. Powered by a Google database, Local lets concierges and front desk staff save information for any business or contact they or their guests call upon. 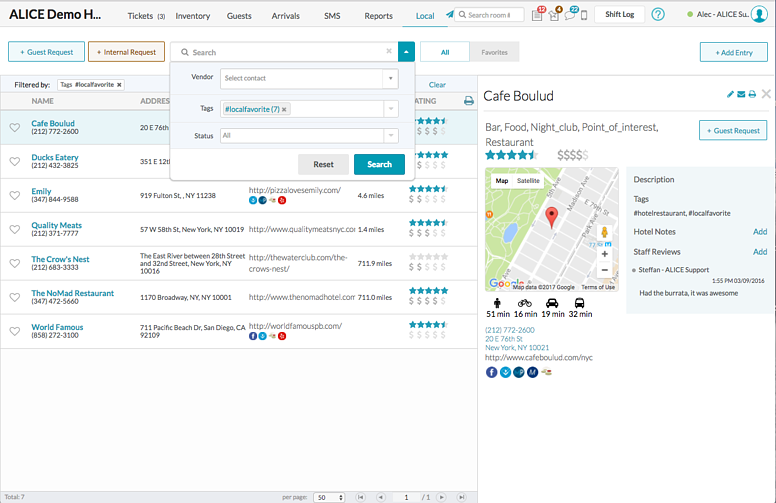 Simply enter a fragment of a restaurant name or any other business, and Local will automatically find the business address, phone, hours, website, categories, and all their social links (Yelp, Facebook, Opentable, Foursquare, and more). Then your concierge can can add other notes, such as their contact person or favorite menu recommendations. Your concierge can also create an endless number of lists from this information to save and print out for guests asking for recommendations. Why it’s important: Your hotel’s neighborhood helps set it apart. As such, it’s to your advantage to build up a local database of area information that can be used by guest-facing teams to create memorable trips, filled with great activities and dining experiences. By putting all this information at your concierges’ fingertips, ALICE Concierge’s Local vendor database saves concierges valuable time and helps you impress your guests. What it is: Guests can communicate with your hotel’s concierges in real-time, with ALICE’s in-app messaging functionality and SMS texting (the latter does not require guests to download an app). Why it’s important: Studies show that increasing guest engagement leads to improved guest satisfaction and customer loyalty and messaging is fast becoming the new interface for communication between businesses and consumers. Through ALICE, Guests can communicate with your concierge team on their own terms, via rich in-app messaging or easy SMS texting. Room not ready? “We’ll text you when it is.” Stuck in town? “Text us and we’ll send a car.” Additionally, request status updates and notifications give guests peace of mind that the work is being done for them. What it is: Print, email, or text your guests their itineraries and letter confirmations with your hotel's custom branding. The itinerary tool allows you to place all guest booking and events into a branded PDF document for your guest in chronological order, and even include walking, biking, bus or driving directions from your hotel. Why it’s important: Guests often ask for confirmation of their booked activities. 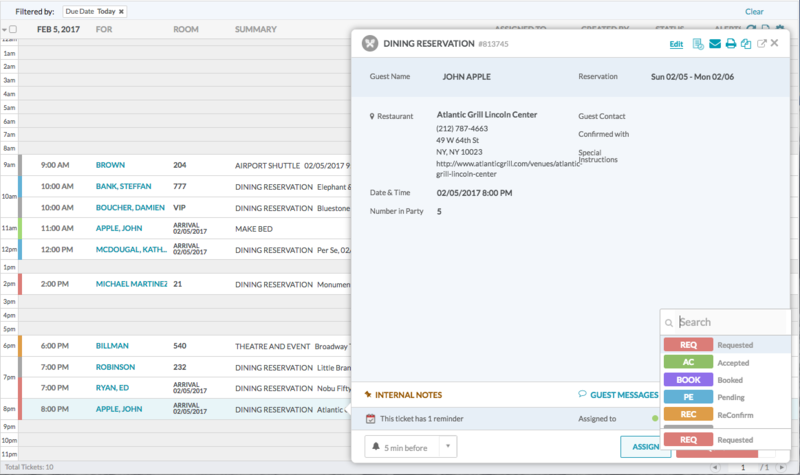 The Itinerary feature enables concierges to place any pertinent guest information in an organized and hotel-branded document they can email, print, or text to the guest. This ensures guests have easy access to the confirmed reservations and bookings made by the concierge during their stay. Concierges love how quickly this document can be generated, customized and sent to guests or printed through ALICE, instead of creating their own in Microsoft Word. What it is: The ALICE Logbook allows your hotel to record all incoming and outgoing packages and lost & found items. Our easy to use solution can be shared across multiple departments to optimize communication, and ultimately, customer service to your guest. Why it’s important: Inventory management can be a surprisingly large part of a concierge’s job, but most concierge tools don’t provide concierges with the tools they need to manage inventory as well as perform their regular concierge duties. Every minute spent logging a package is less time with guests. Every five minutes spent finding a package results in a more frustrated guest. Leveraging innovations from residential buildings that receive hundreds of packages a day, ALICE has built a quick and easy solution to save time in logging and finding a guest’s belongings. 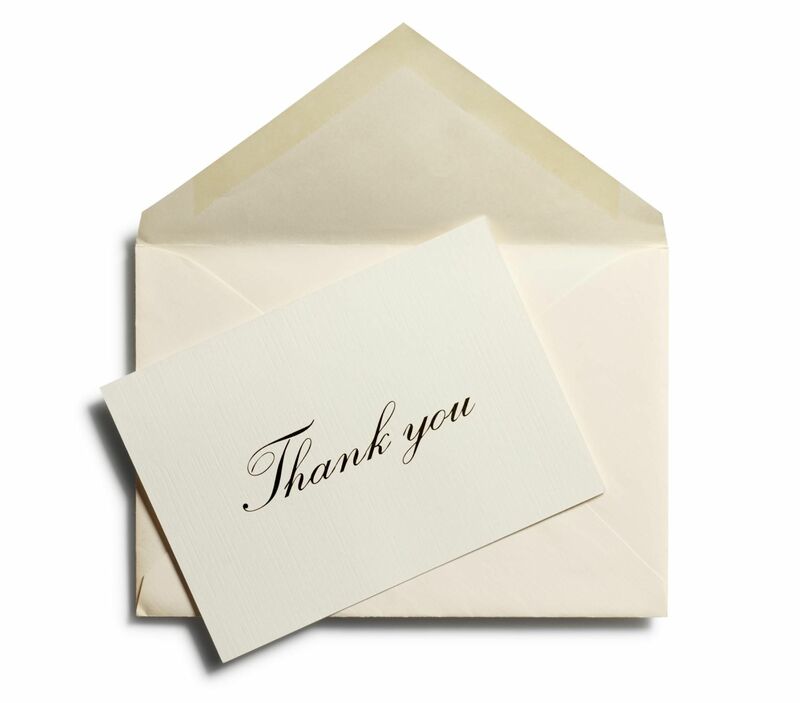 You can learn more about ALICE Concierge by clicking here. Please schedule your demo of ALICE Concierge here.